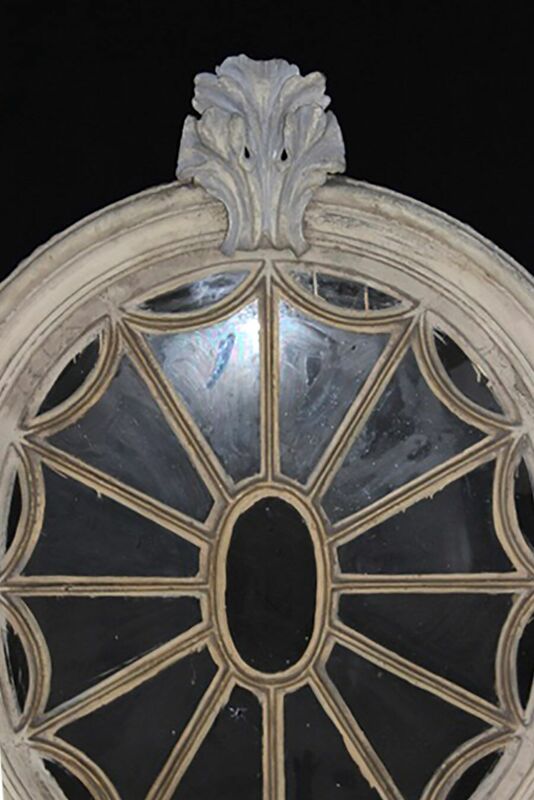 Decorative 18th century wooden window frame with metal fan light and original glass. 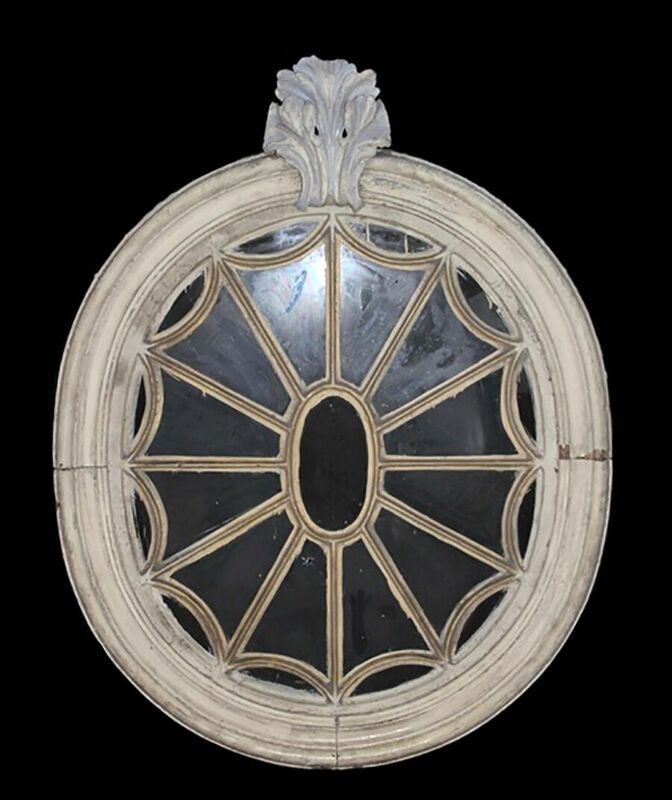 Makes a wonderful decorative feature, circa 1780. 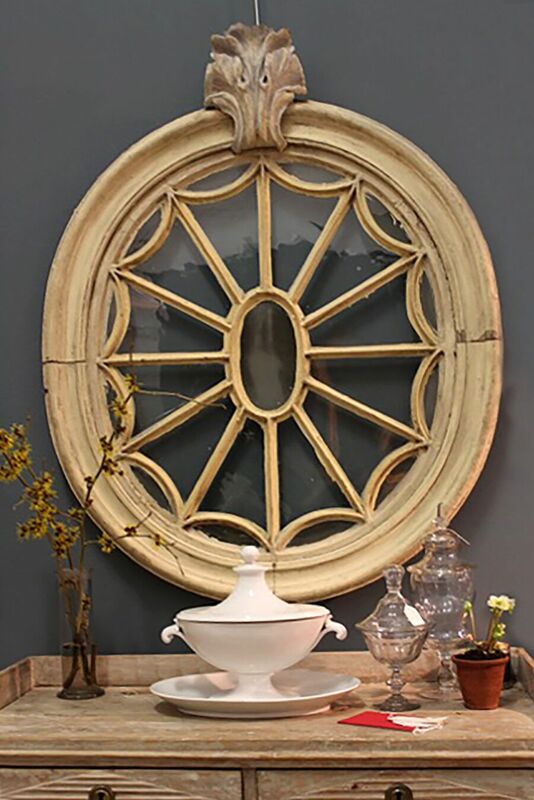 Run by owners Stephen Hall and Deborah Christopher, Christopher Hall Antiques and Interiors are a husband and wife team based in London. They originally started our professional careers as hair stylists, working in many top West End salons and on numerous adverts, TV series, commercials and films. 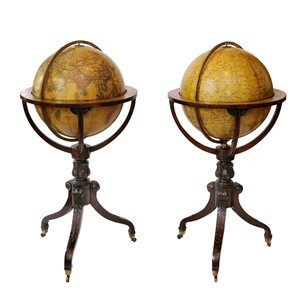 They offer wide variety of stock from the 16th Century through to the 20th century. Some of their items can be viewed at Alfies in London, where they have their own dedicated space.